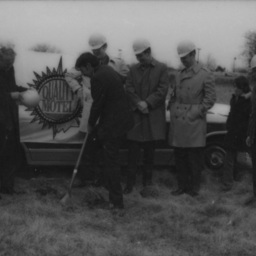 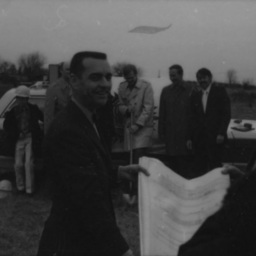 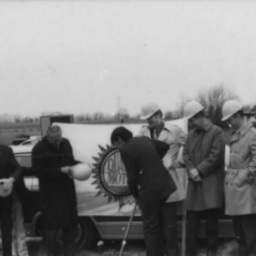 Photograph taken by William Hoyle Garber showing the groundbreaking ceremony for the Quality Inn in New Market Virginia. 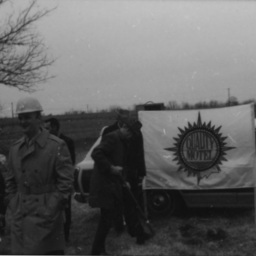 Photograph taken by William Hoyle Garber showing the groundbreaking ceremony for the Quality Inn in New Market Virginia. 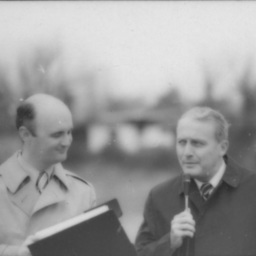 Congressman John "Jack" Marsh is pictured on the right speaking into the microphone. 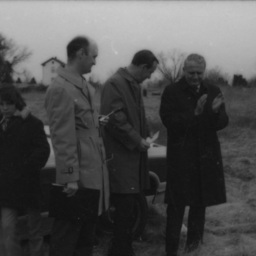 Photograph taken by William Hoyle Garber showing the groundbreaking ceremony for the Quality Inn in New Market Virginia. 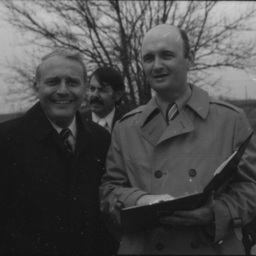 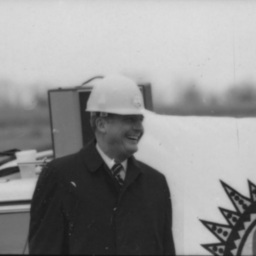 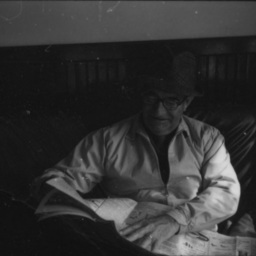 Pictured is Congressman John "Jack" Marsh. 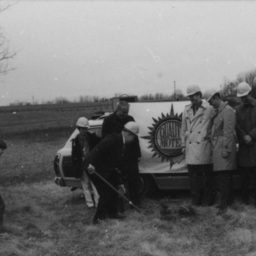 Photograph taken by William Hoyle Garber showing the groundbreaking ceremony for the Quality Inn in New Market Virginia. 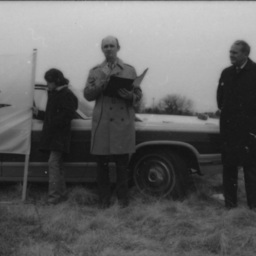 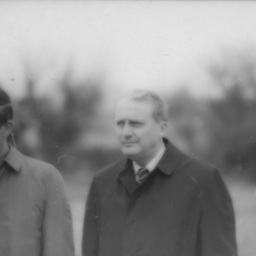 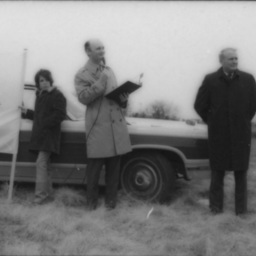 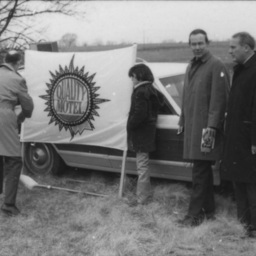 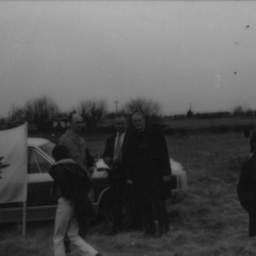 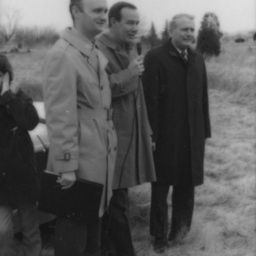 Congressman John "Jack" Marsh is pictured on the right of the three standing men beside the car hood. 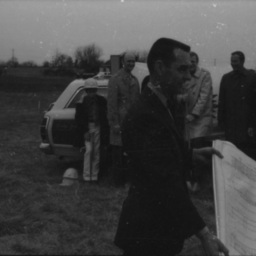 Photograph taken by William Hoyle Garber showing the groundbreaking ceremony for the Quality Inn in New Market Virginia. 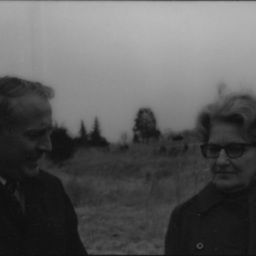 Pictured is John "Jack" Marsh (on left) and Ethel Garber, wife of the photographer (on right). 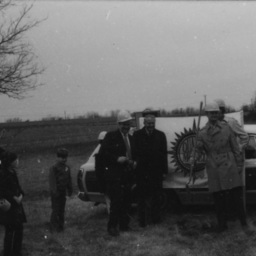 Photograph taken by William Hoyle Garber showing the groundbreaking ceremony for the Quality Inn in New Market Virginia. 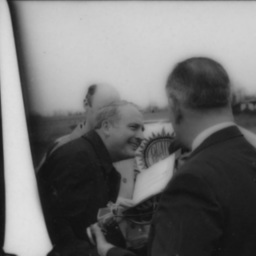 Congressman John "Jack" is in the center leaning forward. 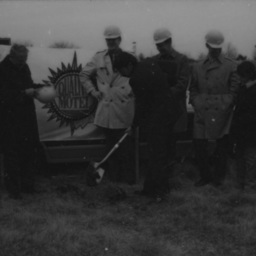 Photograph taken by William Hoyle Garber showing the groundbreaking ceremony for the Quality Inn in New Market Virginia. 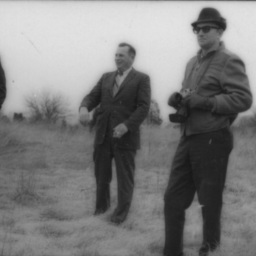 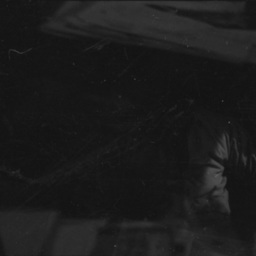 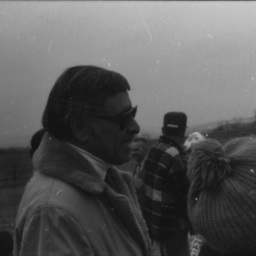 The man in the foreground is Allan Johnson. 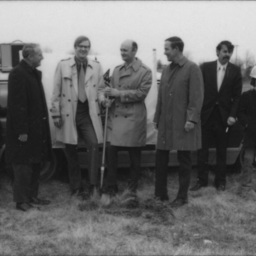 Congressman John "Jack" Marsh is in the rear with the shovel.